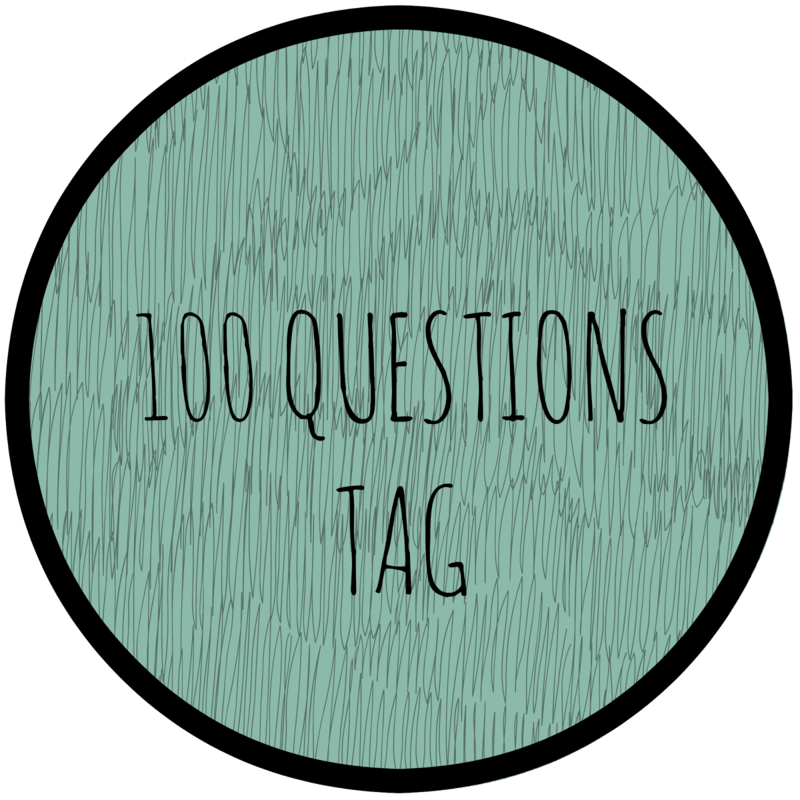 Tag Tuesday: One Hundred Questions Tag! 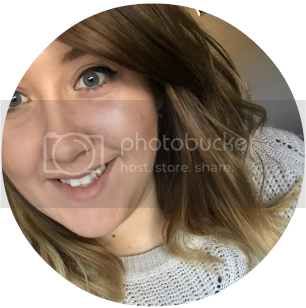 Another week and another tag and this week's is a longg one! We have built-in wardrobes in our bedroom and I do like to have them closed. It’s more on an OCD thing than anything! Normally I don’t but I do admit that I took the ones from our hotel in Paris. Memories! No I haven’t! I’ve probably straddled a few in my time when I’ve been drunk. Pictures will not be included in this one! I use them all the time at work but not really at home. The only coupons I use are for Tesco and I do pretty much use them all. There’s only a few that I waste. A bear definitely. Surely it would be a quicker death than being strung loads of times? A bit morbid? I do on my face but they’re very faint and normally get covered up when I apply foundation! Yes? It’s not something I think of until I take a picture. Rude people! I was grown up being taught that no-one has the right to speak to you badly and to stand up for myself in those kinds of situations. I do sometimes when I’m bored. When I was little yes, but not in a longgg time. Yes, you can normally find me dancing around the house. I don’t because I hate my pens looking like a mess. Elle Goulding – Love you like you do. I cannot stop listening to it! Of course! I don’t see the problem on why they can’t! I don’t but that’s not by choice, I just don’t have the time to sit down and watch any. Although my boyfriend keeps trying to make me watch Adventure Time with him! I don’t think I have any films in mind but I’m not too keen on horror films so it would possibly be one of them. You’ll have to follow my treasure map! Either squash or wine. Depends on what day of the week it is. I love all food! But Chinese is my soft spot. On paper, god knows! I write a few letters for my job but that’s on a computer! No I haven’t but never say never! No! I get panicky when I even get to about a quarter of a tank. Plain cheese. Maybe some cucumber and beetroot if I want to push the boat out! I normally skip breakfast and just have some breakfast biscuits but I can never say no to a sausage, egg and cheese bagel from Mcdonalds! Yummm! About 10:30/11:00pm. I’m normally so tired from work I’m passed out on the sofa any later than that. Not at all. If there’s something that needs doing, I can’t settle until it’s done. I never really dressed up for Halloween as we never trick or treated but I do remember having a witch’s costume! Horse apparently. Not sure what that means though! English is hard enough sometimes. No I don’t and never have! I watch Hollyoaks every now and then but it’s not something I watch religiously. Yes I absolutely hate them! God yes! I hope there’s not been a hidden camera in there the whole time or I will be pretty embarrassed! No I don’t! My showers are pretty quick so I probably wouldn’t even get chance to finish a song. Only a water gun and on Call of Duty. Does that count? When I was about 17. Me and my cousins all had photo shoots from my nan’s 70th Birthday. They are a little guilty pleasure. A little when I have no idea what to buy people but other than that, I love it! I wanted to be a nurse but then I realised I hated the sight of blood! I'm not sure, I would like to think that there’s something about it. Yes I do and I absolutely hate it! Yes, as soon as I come home, they go straight on! I do but only when I’m really cold. Pj's in the winter and probably just some shorts and vest in the summer! I used to love my pair of Adidas trainers when I was younger so I’d say them! I used to go to a dance class after school when I was in Primary but the teacher got pregnant and that was the end of that! All the time! Although I try and hide it! I don’t own any but I know my parents do and I used to love listening to them when I was younger! Yes, I have a burner in every room! Yes, I am currently in Love! Probably We The Kings again! No tea at all thanks! Yes, can some people not do that? Not really. But I must have to complete this! I’d say band because it’s a bit different from other weddings I’ve been to! I won a colouring in contest from McDonald’s when I was younger. It was just when Lady and the Tramp 2 came out and I got a Disney goodie bag! No I haven’t and I don’t think I ever would! I’ve never been married. I’m only 24 so I’d be a bit of a failure if I was divorced already! My old boyfriend. It probably lasted just under a year. Ooooh! Not really, I do get upset but I wouldn’t say I stamp my feet until I get my own way. No, but I want them in the future. More than anything in the world, I’d love to be a mom. Pink, I’m still a little girl at heart! 100. Who are you going to tag to do this blog post next? Anybody who wants to sit and answer 100 questions about themselves!